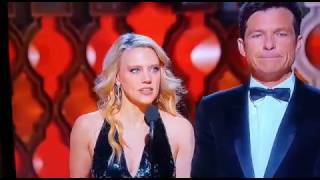 The hilarious Kate McKinnon gives Jason Bateman a hard time upon presenting Best Makeup and Best Costume Design at the 89th Academy Awards. 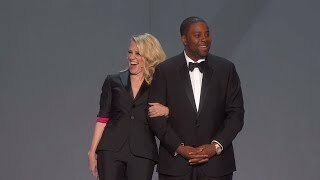 Kate McKinnon accepts the word for Best Walkout in Live's Viewers' Choice show. The 70th Annual Primetime Emmys Opening Number - “We Solved It!”! (Featuring Kate McKinnon, Kenan Thompson, Kristen Bell, Sterling K. Brown). 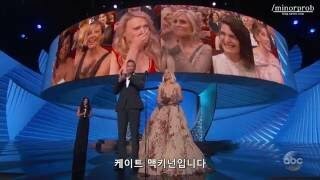 Kate McKinnon presenting at the 2017 Oscars. Twitter: @themagster23 Instagram: @themagster23 Snapchat: @themagster16. Kate McKinnon wins best supporting actress in a comedy series during the 69th Emmy Awards for her work on Saturday Night Live. CONGRATULATIONS KATE! Kate McKinnon Emmy Acceptance Speech.